Why is the effectiveness of Swine Flu vaccine being questioned? The Swine flu vaccine is going to be manufactured from the technology of existing flu vaccines and therefore requires no new testing, the pandemic status designated by the WHO requires fast-track through production and safety trials. What is the safety and efficacy record of existing flu vaccines, given the amount of resources used to implement worldwide flu vaccine programs? Vaccines are given to reduce deaths and incidence of the disease especially in the vulnerable, they often vaccinate the healthy and high contact risk groups to affect herd immunity and protect the vulnerable. However Flu vaccines and Swine Flu vaccine were given to the vulnerable! People for whom vaccination is recommended in the United States:Aged 65 or more (and 50-64), children aged 6months – 5years, people with chronic medical conditions, cardiovascular, respiratory conditions (including asthma but excluding hypertension) and compromised ability to eliminate infected excretions. Those treated in hospital in the preceding 12 months for a range of conditions (for example, diabetes or haemoglobinopathy), children aged 6 months to 18 years being treated with aspirin. Women who are pregnant during the influenza “season”. Carers and household contacts (including children) of those in the above risk categories and of children aged 0-59 months, healthcare workers. After an effective flu vaccine campaign, one would expect to see reductions in, cases, admissions to hospital, mortality of elderly people, antibiotic prescriptions and absenteeism. 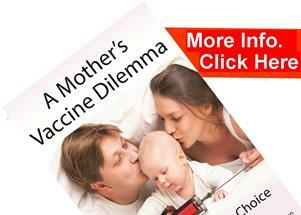 In choosing illnesses with high antigenic match to vaccine (be kind to the vaccine!) studies in elderly have shown very little effect on incidence but reduced mortality. Poor study quality in children; five randomised studies and five non-randomised studies were reviewed, but although data were suggestive of protection, its extent was impossible to measure because of the weak methods used in the primary studies. 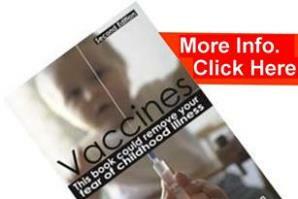 In children under 2 years inactivated vaccines had the same field efficacy as placebo. In healthy people under 65, vaccination did not affect hospital stay, time off work, or death from influenza and its complications. Reviews found no evidence of an effect in patients with asthma or cystic fibrosis, but studies showed inactivated vaccines reduced the incidence of exacerbations after three to four weeks by 39% in those with chronic obstructive pulmonary disease. One shocking statistic is that BEFORE the CDC advocated vaccinating children under the age of five, the number of children dying from the flu was very low, and on the decline. Then, in 2003, just after children aged five and under started getting vaccinated, the number of flu deaths INCREASED. The death toll was enormous compared to the previous year, when the flu vaccine was not administered en masse to that age group! How anyone can consider a strategy that yields a higher deaths to be a “success” is a mystery. Were the benefits of the ordinary seasonal flu vaccine grossly exaggerated? It is stated by vaccine promoters that flu vaccines reduce deaths in elderly by 50%. Yet when researchers from the National Institute of Allergy and Infectious Diseases included all deaths from illnesses that flu aggravates, like lung disease or chronic heart failure, they found that flu accounts for, at most, 10 percent of winter deaths among the elderly. So how could flu vaccine possibly reduce total deaths by half? How do we explain those inflated estimates of vaccine effectiveness? When Lisa Jackson, a physician and senior investigator with the Group Health Research Center, in Seattle, began wondering aloud to colleagues if maybe something was amiss with the estimate of 50 percent mortality reduction for people who get flu vaccine, the response she got sounded more like doctrine than science. 2004, Jackson and three colleagues set out to determine if there was a “healthy user effect“. Are the people getting vaccinated simply healthier than those who don’t, people who don’t get vaccinated may be bedridden or otherwise too sick to go get a shot. To test their thesis, Jackson and her colleagues studied eight years of medical data on more than 72,000 people 65 and older. They looked at who got flu shots and who didn’t. Then they examined which group’s members were more likely to die of any cause when it was not flu season. Outside of flu season, the baseline risk of death among people who did not get vaccinated was approximately 60 percent higher than among those who did, therefore on average, healthy people chose to get the vaccine, while the “frail elderly” didn’t or couldn’t. The ‘healthy-user effect’ explained the entire benefit that other researchers were attributing to flu vaccine, suggesting that the vaccine itself might not reduce mortality at all. Lone Simonsen – Professor of global health at George Washington University, Washington, D.C., Internationally recognized expert in influenza and vaccine epidemiology. The results were also so unexpected that many experts simply refused to believe them. Jackson’s papers were turned down for publication in the top-ranked medical journals. Evidence from systematic reviews shows that inactivated vaccines have little or no effect on the effects measured. Most studies are of poor methodological quality and the impact of confounders is high.